Angsana Spa Chiang Mai, a sister brand of the award winning Banyan Tree Spa, will deliver standard of excellence that has become synonymous with the Banyan Tree master brand. Among the signature spa rituals available on our menu. Angsana Spa Green View, Chiang Mai is located on the second floor of the Golf Club House at the Chiang Mai Green Valley Country Club. Angsana Spa Green View, Chiang Mai is stylishly decorated with elegant golden teak furnishings and jade-colored Mae Rim tiles, specially produced in Chiang Mai. The 12 treatment rooms come equipped with air-conditioning comfort, a private shower, changing chambers and resting areas. 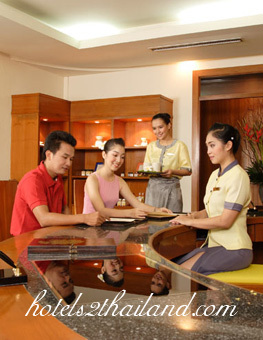 There are also other treatment rooms specially reserved for traditional Thai massage. A contemporary holistic, non-clinical tropical garden spa, the Angsana Spa Green View, Chiang Mai presents a unique blend of spa rituals that make use of natural ingredients like native flowers, exotic scents, herbs, spices and plants which are found in the northern Thai region only. 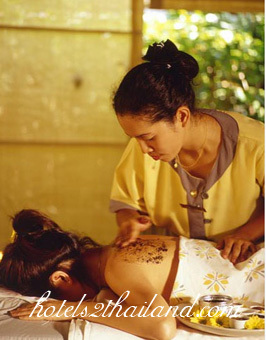 Our massage techniques combine the ancient art of aromatherapy with a therapeutic sense of touch to rejuvenate the tired body, mind and spirit.